Why Fire Fighting Robot for your kid? How can your kid be the next big innovator? Text books help. But not entirely. How about helping your kid learn and build a robot that can detect fire and fight it automatically? We are ready for this. Are you? What your kid will learn in this course? Fire fighting robots also known as vision-guided robots, are capable of detecting the fire and extinguishing it. 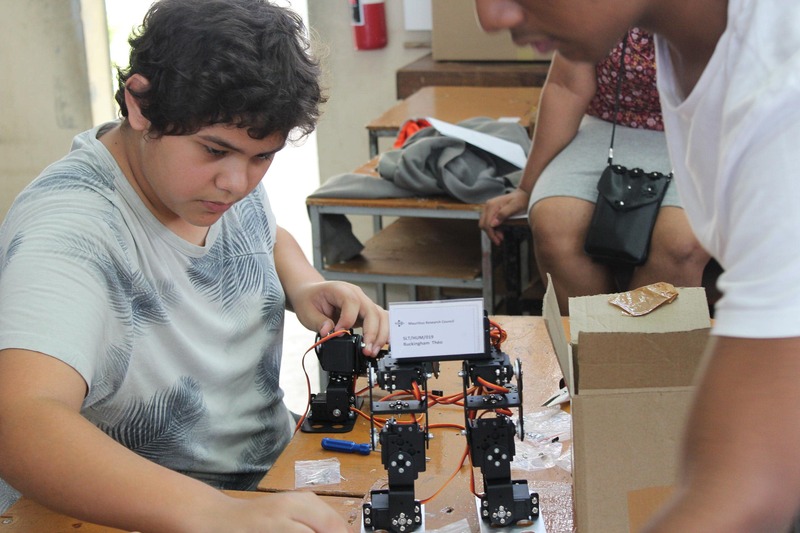 Through this school robotics project-based course, your kid will learn to build his/ her very own firefighting robot that uses digital IR sensor to detect the fire and move in that direction to put it off using a DC fan. To ease your kid's programming learning experience, the course is equipped with scratch based block programming modules that make programming the robot super easy. So you need not require any prior programming experience to help your kid to build this firefighting robot. Module 1: What are Fire Fighting Robots? 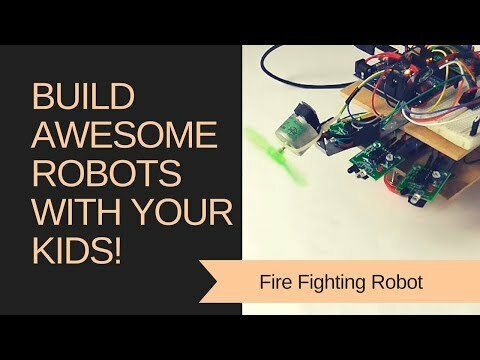 How can your kid build this Fire Fighting Robot project? How to build a Fire Fighting Robot? Login to our online learning portal will be provided instantly upon enrollment. The portal will have video lectures, tutorials, and quizzes required to build the Fire Fighting Robot. Kits are well tested and shipped to your doorstep in 24 Hours. Use the kit along with the online portal to complete the project at your home itself. How difficult will be the programming modules in this course? The course is equipped with block based drag and drop programming which is very easy and super fun to do along with your kid. Needs zero programming knowledge to understand the modules. How much time do we have to complete the Fire Fighting Robot? What will be in the Fire Fighting Robot kit that I will receive? Should I enroll my kid in Online Course or Offline Workshop? Can my kid's friends build along? Ofcourse, and we strongly encuorage that. The course is fun and learning is more effective when your kid work together, learn together and build together! Is my kid eligible for this course? The course covers content from very basics. So kids with 10+ age group can enroll, learn and build their very own robots in a super easy way. Course is equipped with block programming, so even you don't require any technical expertise to help your kid build the robot. Who will clarify my kid's doubts? Our expert trainers are available to clear your kid's doubts. It is very simple. You will just have to select a time slot that is suitable for your kid (you will see this option once you start the course) and our trainer will call you at that time to help. The doubt clarification sessions are always 1-1. So your kid can ask as many doubts as needed any number of times!